Congrats to Ms. Treechada (Numnim) Choktanasermsakul, Class of 2011! 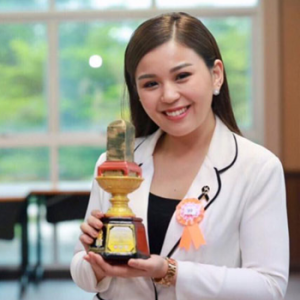 Her show, (Morning News Show) received the Golden Stone Inscription of Ramkhamhaeng the Great Award recently. This award is given to the best news program on ASEAN matters. The Consumer Rights Protection Association and the Federal of Child and Youth Protection Thailand have been giving the award for the past four years.